The Aspire Breeze is an All in One (AIO) kit that allows you to have a super well designed compact e cigarette set up. If you are looking for easy to use, than look no further! 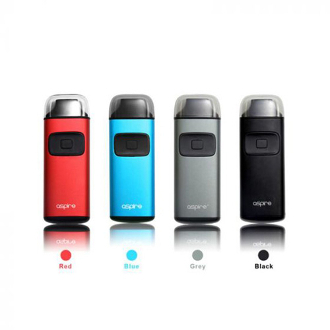 The Breeze is appealing to both automatic and manual users as it can be automatically activated through inhaling or you can use its fire button to vape. it has a built in 650 mAh battery and holds an approximate 2.0mls of e liquid. Combined with a 0.6 ohm coil the Breeze can handle High VG and High PG mixes for extremely satisfying vapor!